In any case, I can say that March 2015 is going to be HUGE for Prismata. Possibly the most exciting month yet. 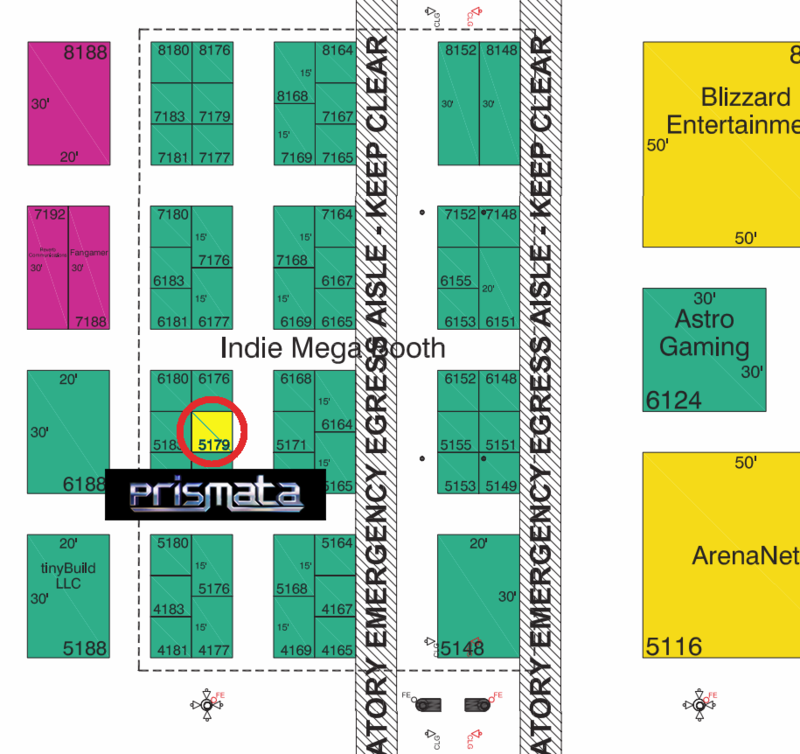 We’ll be showcasing Prismata at PAX East next week in Boston (as part of the Indie Megabooth). We’ll also have a Prismata booth at SXSW Interactive the weekend after (as part of the Media Indie Exchange Humble Bundle Showcase). We’re also partnering with Humble to handle backer fulfillment as part of our crowdfunding initiatives. We have a new website up. Winners have been announced for our wiki and video contests. The Penny Arcade Expo (or PAX, for short) is pretty much the largest and most important gaming exhibition/convention in North America, and Prismata will finally be making an appearance! We couldn’t be at PAX Prime last summer because the organizers actually ran out of space and couldn’t offer any spots to new exhibitors, so we’re very happy to be at PAX East this time around. It’s awesome to finally get a chance to show Prismata to a massive horde of gamers and gaming press at PAX. We’ll be at booth 5179 as part of the Indie Megabooth, a wonderful and exciting collection of games by independent developers. If you’ll be at PAX in Boston during March 6th-8th, stop by our booth and say hi! Will and Whinnie posing with some cosplayers at FanExpo in Toronto last year. We’re planning a pretty similar booth to last year’s at fan expo. I’ll be there with Will, Alex, Shalev, David, and Mike Fong, and there will be a ton of Prismata posters and computers set up to run Prismata. There will also be literally hundreds of gaming journalists there, many of whom we’ve already booked time with to show Prismata to. So we’ll hopefully get to see a few more Prismata previews in the news in upcoming weeks. Following PAX East, I’ll be flying to Austin to present Prismata at the Media Indie Exchange Showcase at the South by Southwest (SXSW) gaming event. 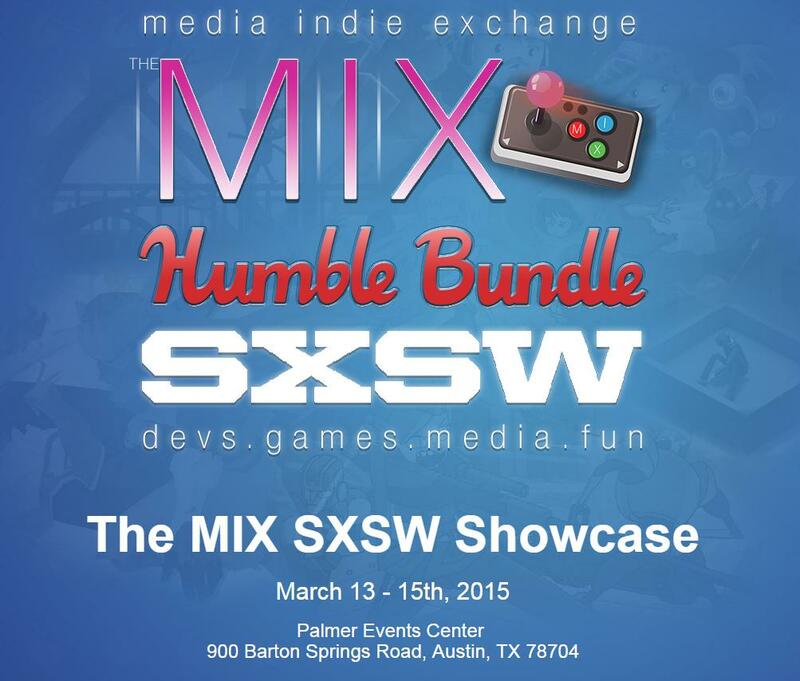 The showcase is in partnership with Humble Bundle, and we were selected from many applicants. To be truthfully honest, I applied to this on a whim, and the fact that we were chosen is HUGE! The MIX is a pretty top notch showcase of indie games, we’re ecstatic to be exhibiting Prismata on the show floor at SXSW Interactive, which is one of the biggest interactive/media conferences in the world (and has a huge focus on gaming). If you’ll be at SXSW, please come and say hi! I look forward to meeting many of you! One other small announcement: we’re partnering with Humble to handle our post-Kickstarter reward fulfillment, and things will be going live very soon! This means that, if your Kickstarter tier included them, you’ll eventually be downloading things like the Prismata soundtrack and digital art book through Humble’s site. We’re going to do a test-run by distributing the “backer badges” using this system next week (so instead of emailing you all badge codes, we will email you a link to Humble’s site, where you’ll be able to log in and see your various redemption codes). We’re extremely excited and grateful to Humble for offering this service to us at no charge; they are a true champion of the indie gaming community and you should all give them some love. The new face of Prismata. 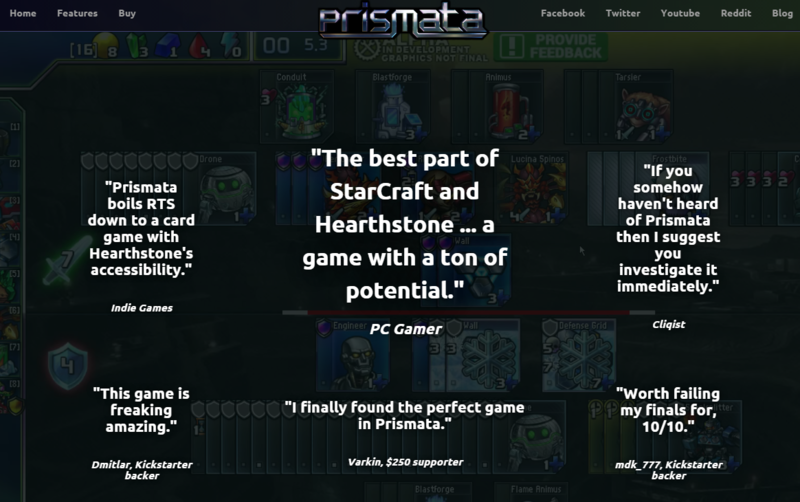 With PAX and SXSW around the corner, we wanted to remodel our home page in order to give Prismata the presentation it deserves. For those of you who haven’t seen the old site, it was in dire need of an update, having not been changed since Kickstarter. We’ve added videos, quick links, made navigation easier, and have all of the crucial Prismata links, including the store, front and centre. Check it out and let us know what you think! I’ll still be making some small changes to it before we head off to PAX. In particular, we’ll be tightening up the graphics and text to optimize contrast/readability, and putting together some new video footage for the background using some of the awesome new im-game graphical effects that we’ve been working on. We’ll also be attempting to put in an automated system for key fulfillment, so people purchasing founder packs won’t have to wait for us to reply to their emails in order to join the alpha. So, we’ve had a lot of contests in the last little while. Three, to be specific: the Wiki-editing contest, Impending Doom, and Prismata in 60 Seconds. Thus far, we’ve only announced the results of Impending Doom. If you’ll recall, our Wiki-editing contest stated that whoever contributed the most to Prismata’s wiki would win amazing prizes. We asked, and you guys delivered—hundreds upon hundreds of edits were made! Almost every Prismata unit now has a really cool strategy article written on it. It’s just amazing. Congratulations to the winners and a huge thank you to everyone who participated. You’ll all be receiving a rare emote, “I learned that from the Wiki” (coming soon). You’ve all worked so hard to make Prismata’s wiki one worth reading, and we can’t express out gratitude enough. As well, a special mention to our runner up, Crash0verlord. I thought his entry was also excellent, take a look at it here. Hopefully these short Prismata videos give you something quick and simple to share when people ask “WTF is Prismata?” Thank you to everyone who submitted a video! We had a great time watching them all and admire how dedicated Prismata’s community is. I’m going to be ridiculously busy for the next couple of weeks, but i’ll try to keep you all updated with everything that happens. 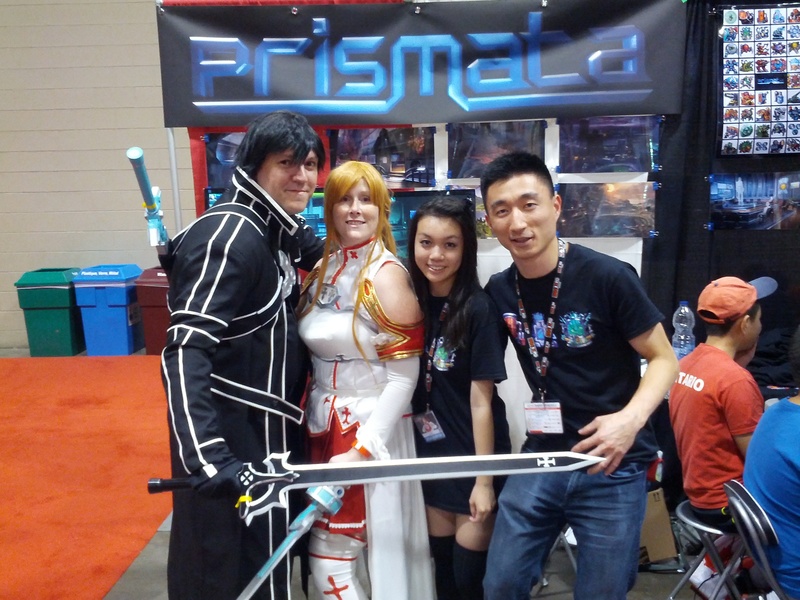 Next week, Megan will be giving full details on our new ambassador program, and highlighting some of the awesome things that Prismata community has been up to. I hope to meet lots of you at PAX and SXSW. Until then, bye! ← Custom Prismata Sets, Badges, Top Games, and More!